“Please do not touch the artworks” – it’s a phrase that’s been bandied about at galleries the world over, but visitors to Wollongong Central’s new exhibition – Touch Hear – will experience the complete opposite. 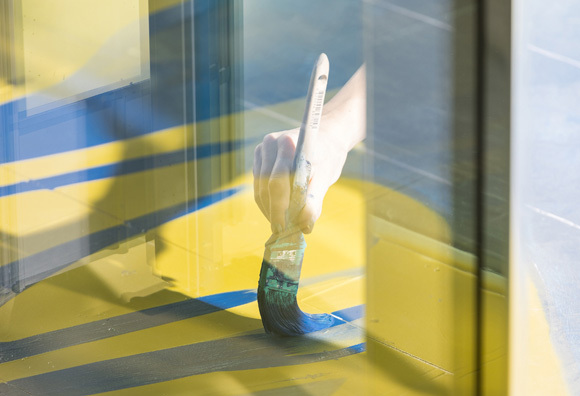 Touch Hear is a multisensory encounter, where viewers are encouraged to get hands-on with the immersive and interactive painting of pattern and text that covers an entire room (including the floor and ceiling), and discover the secret sounds embedded within. 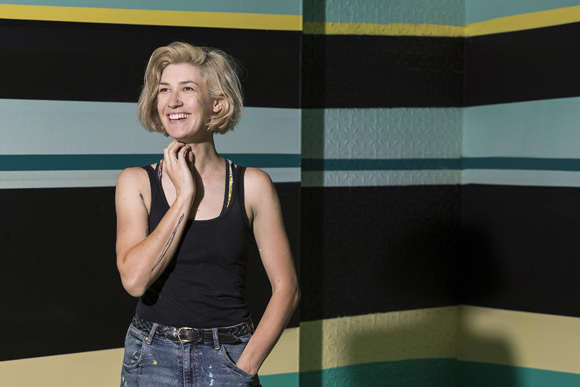 This groundbreaking artwork is the first of its kind in Australia, and will be created by Melbourne-based artist George Rose over the course of a week, and painted in the bold and colourful style that has become her trademark. 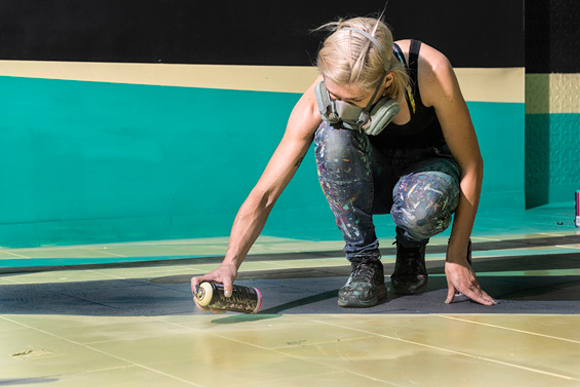 The large-scale mural inventively seeks to engage the senses of the people examining it through its use of conductive paint. Conductive paint is a specialised product that becomes touch sensitive and triggers sounds when connected to an Arduino board and programmed. The sounds used in Touch Hear have been devised in collaboration with renowned Australian music producer, artist and performer, Plutonic Lab. Touch Hear was developed by George Rose to explore themes central to her current interest in art as a means of social unity and mass communication, at the same time as promoting public experimentation and being an all-encompassing homage to the local community. The word ‘Wollongong’ will feature prominently, with each letter producing a different sound when touched. The colour scheme used is reflective of the region’s proximity to the water, and the soundscape has been recorded in surrounding areas. 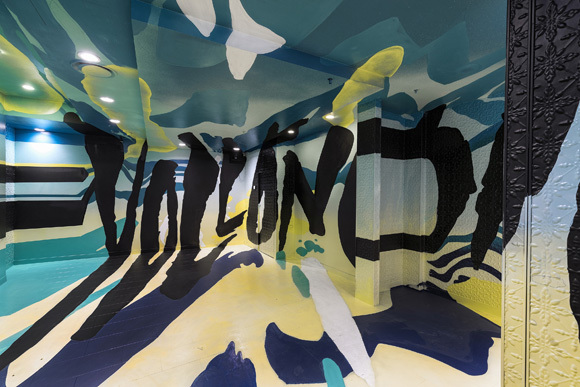 This pop-up interactive art installation is curated and produced by aMBUSH Gallery and presented with Wollongong Central, and opens to the public on Monday, 9 January for a run of at least five months. Touch Hear is free of charge and open daily during centre trading hours.